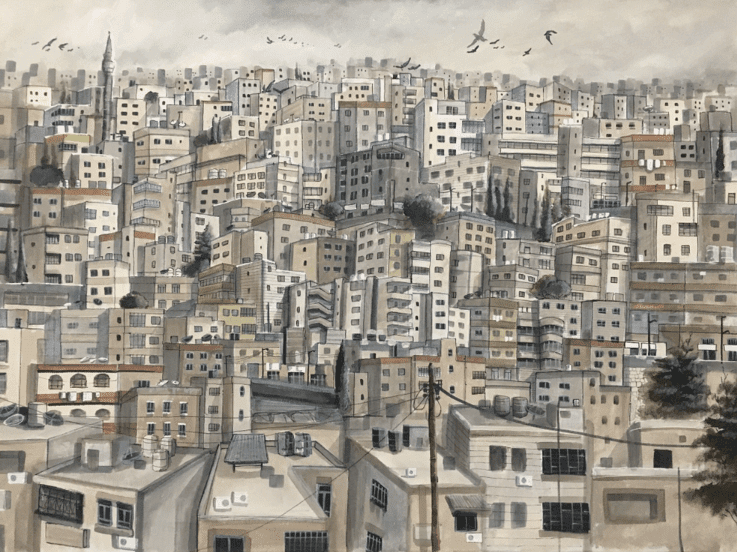 Saad Rabadi, born in 1986, graduated from University of Jordan with a degree in Architecture. 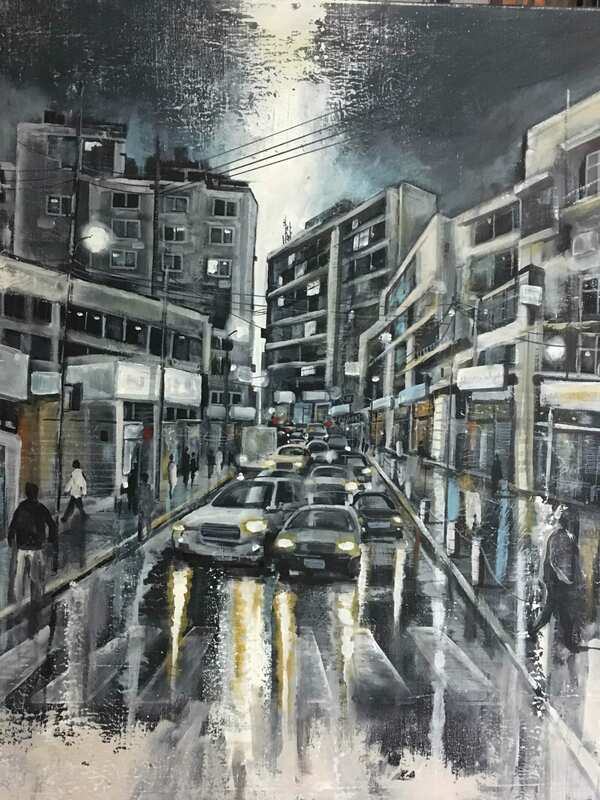 Afterward, he ventured out to Beirut where he earned an experience in architecture & art practicing. Since then, Rabadi executed on medium to large-scale panels, each exciting work demonstrates the artist’s unmistakable style. Working with watercolor and oil paintings he can utilize a number of techniques. Saad paints with confidence and flair. He addresses complex compositions with a mature eye and his colors are both vivid and atmospheric. 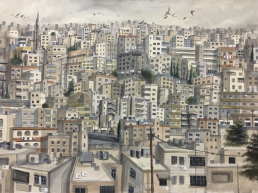 Living in Amman, Saad paints his immediate surroundings with intimate, dynamic expression. 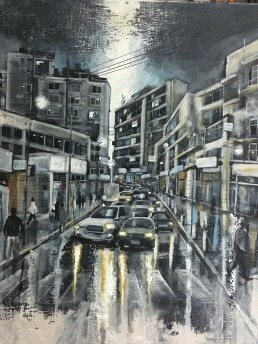 A number of unique compositions are inspired from the city’s pavement and streets, where reflected street lamps and neon signs glitter in the rain. 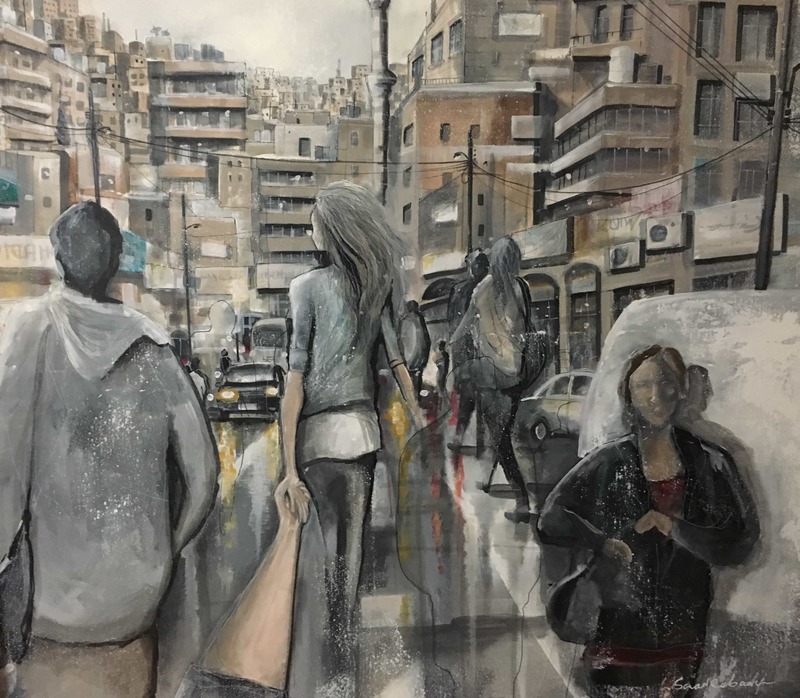 In each work, Saad imbues the city with drama, mood, and personality. 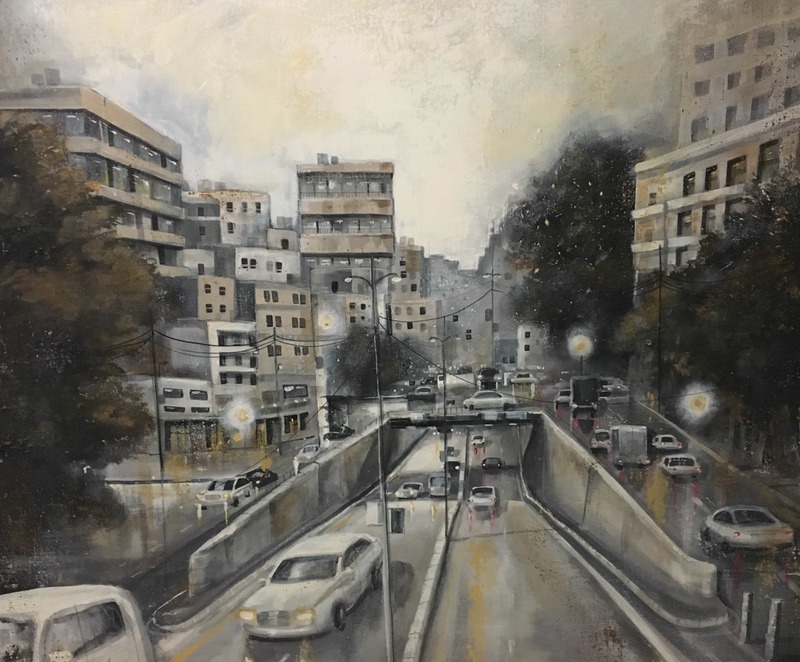 With all the uncertainty and changes in the world, both economic and technological, Saad believes that cityscape art must have a solid understanding, supported by an academic foundation. Rabadi’s work is about space and the relationship between people and the surroundings. However, the work itself is a unique hybrid of painting and sculpture. 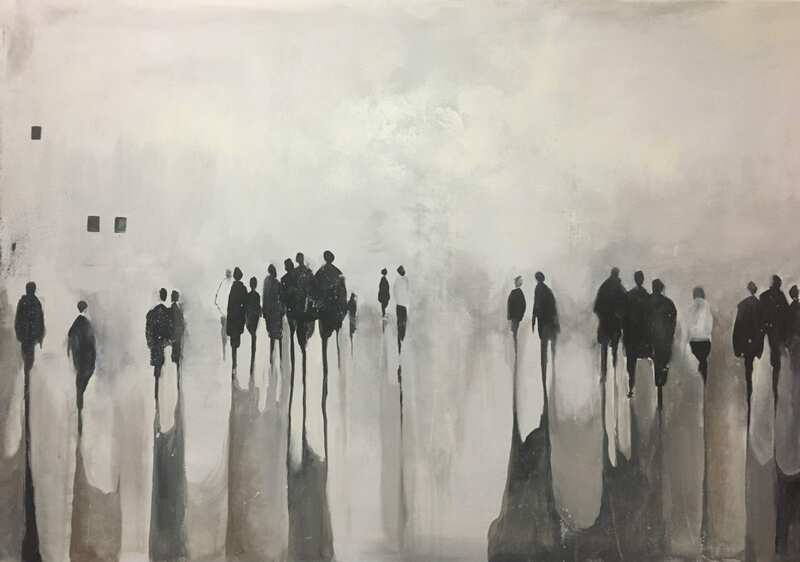 As an artist and architect, Saad has always been interested in the “spaces” subject matter. As a painter he is currently exploring unique ways to express the beauty and spiritual essence of the surrounding spaces forms by creating the illusion of atmosphere and mood. 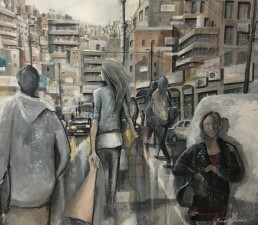 Of personal interest to Saad is the cityscape subjects in abstract and stylized form to create the Arts and Crafts work. In response to his ideas, he returned to the observation of day life scenes in his work. Rabadi finds that the use of the surrounding details in the project that we don’t notice usually influences the way he perceives and render cityscape in his own work. Dramatically and skillfully rendered, the cityscapes works will give a visual form to the emotive essence of modern life. 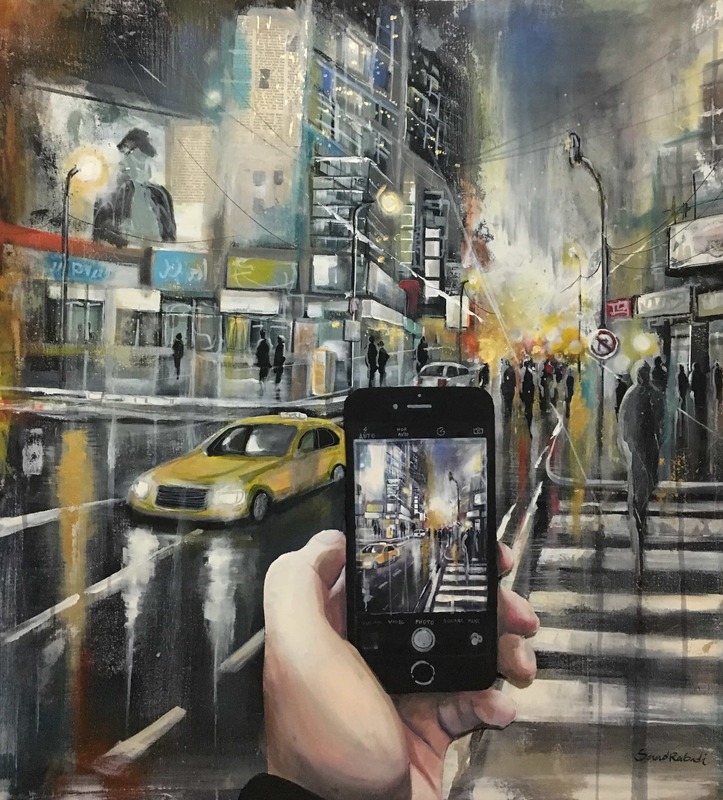 The idea of this new art exhibition is capturing the tenor of these moments that characterize life in the city. City streets after dark, the glare of lamplight reflecting off streets slick with rain. The harsh, fluorescent lighting of a city apartment, a late night turning into an early morning. Whether depicting the distinctive hills and winding roads of the city that never sleeps.